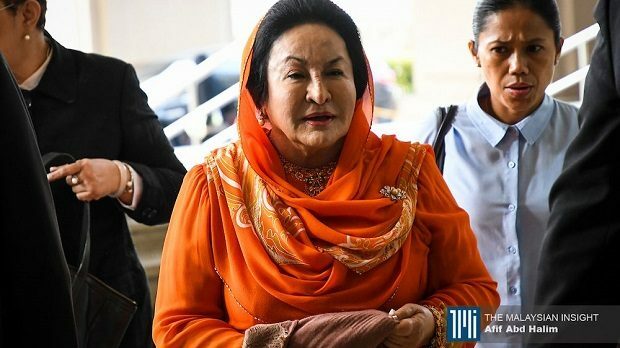 Rosmah Mansor, the wife of former prime minister Najib Abdul Razak, was today arrested by the MACC in relation to a government solar power project. “The MACC arrested Rosmah at 1.45pm after she presented herself to facilitate in the completion of the investigation into the solar case at 1.40pm,” it said in a statement. The MACC said Rosmah was subsequently released on bail, but will be charged tomorrow. “Rosmah will be charged under Section 16(a)(A) of the MACC Act 2009,” it said. Section 16 (a)(A) states that any person who corruptly solicits or receives or agrees to receive any gratification as an inducement or reward on the account of doing anything in respect of any matter or transaction commits an offence. If found guilty, Rosmah faces imprisonment of up to 20 years and a fine of not less than five times the sum or value of the gratification or RM10,000, whichever is higher. On Oct 4 last year, Rosmah was slapped with 17 counts of money laundering involving around RM7.1 million under the Anti-Money Laundering, Anti- Terrorism Financing and Proceeds of Unlawful Activites Act 2001. On Nov 15 last year, Rosmah faced another two charges under the MACC Act 2009. Those charges related to Rosmah allegedly soliciting RM187.5 million for an RM1.25 billion Education Ministry project to install a hybrid solar and diesel power to 369 rural schools in Sarawak.